الخيار الأفضل للحصول على المتعة والاسترخاء, Hotel Laguna Noosa يقع في منطقة Hastings Street في صن شاين كوست. يمكن من هنا للضيوف الاستمتاع بسهولة الوصول إلى كل ما تقدمه هذه المدينة النابضة بالحياة. يشكل هذا الفندق ملاذاَ مريحاً للاسترخاء ويمنح زواره فرصة للاستجمام والتجدد، وهو يقع على بعد خطوات من المعالم السياحية الكثيرة للمدينة كمثل: Local Labels Noosa, Noosa Main Beach, Underground Surf. يقدم Hotel Laguna Noosa خدمات لا غبار عليها وكل أشكال اللياقة وحسن الضيافة اللازمة لإسعاد ضيوفه. يقدم الفندق واي فاي مجاني في جميع الغرف, مكتب الاستقبال على مدار الساعة, تخزين الأمتعة, واي فاي في المناطق العامة, صف السيارات لضمان الراحة القصوى لضيوفه. لقد جهزت هذه الإقامة الفندقية بعناية فائقة لتوفر مستوى عالي من الراحة. في بعض الغرف يجد النزيل تلفزيون بشاشة مسطحة, اتصال لاسلكي بالإنترنت, اتصال لاسلكي بشبكة الإنترنت (مجاني), غرف لغير المدخنين, مكيف هواء. يقدم الفندق مجموعة واسعة من وسائل الراحة المتنوعة، كمثل: مسار جولف - ضمن 3 كم, حمام سباحة خارجي, حديقة. إن كنت تتطلع إلى إقامة مريحة وهادئة في صن شاين كوست، فستجد في Hotel Laguna Noosa بيتك الثاني. Not the best however great value given the location. Staff could be more friendly otherwise good. We had a great stay in Noosa. Hotel Laguna was great close to everything. Large rooms very clean. Lovely pool and outdoor area. 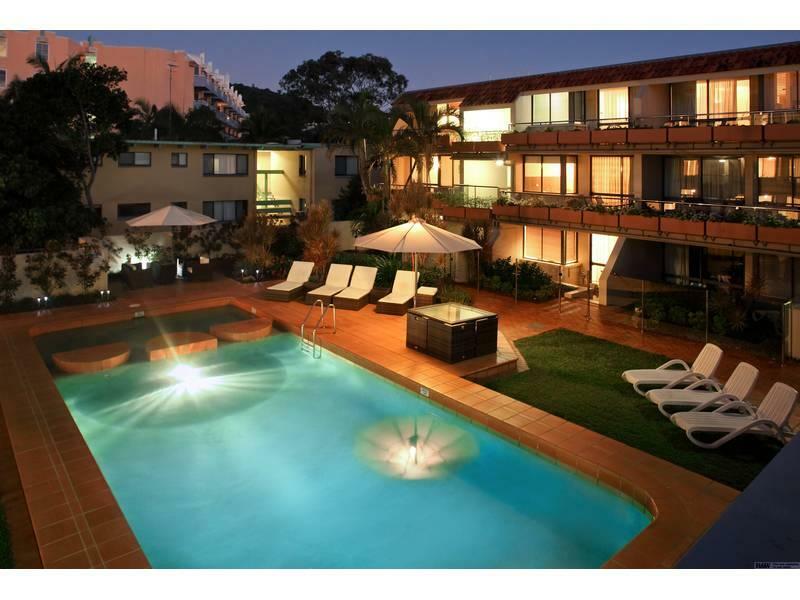 Well priced accomodation in a Perfect location in theheartof Noosa. Fantastic pool for kids. 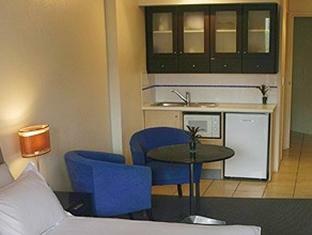 Lovely rooms with everything you could need for an extended stay. It's right on Hastings street so you can't ask for a better location. Ours was a studio room and was just fine for a couple. We even used the laundry room and were grateful for the facility. It's disappointing that the wifi is so limited (500MB per day on one device) and patchy as to where and when you can receive it. The staff were super helpful giving us loads of information about the area, directions for buses, info about the hotel, it was really nice chatting with them. They don't clean the room as it's your apartment for the time you book it so up to you to keep it clean and there were no toiletries in the bathroom - just points to note as the fact that it's called a hotel can be misleading when it comes to these expectations. Great location, nice clean rooms, only [minor] disappointment was the bathroom supply of a small cake of soap only, no shampoo, conditioner or shower gel! A really nice spot for a weekend break. Hotel Laguna is in the perfect spot in Noosa. You can park your car and leave it as you can walk everywhere. 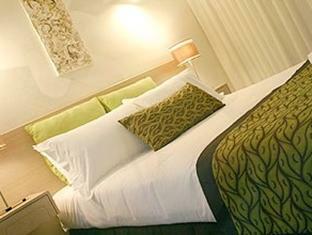 The rooms are well equipped and the staff are incredible friendly and helpful. Would definitely return! Staff were lovely but the rooms are dated. Checkin and checkout was super efficient. Clean and quiet mid week stay. Great spot right on Hastings st. The stay at laguna hotel was what we expected, room size and river view was Beautiful and loved the fact that we could walk to everything. The Staff were friendly and were very approachable inclusive the owner who was always hands on around the hotel always stopping by for a chat. The Caters for all types and encourage tourists or locals to give them a go. Location on Hastings Street, clean room. I booked a studio for the weekend. The location of the hotel was good. The room we were given had absolutely no outlook. We had a balcony overlooking the roof of Miss Moneypenny's restaurant which was disappointing. The room and bathroom were very clean, but there was an overpowering smell of bleach which remained for the entire weekend. The bed was not a Queen, but was 2 singles pushed together and I didn't find the bed comfortable at all. The kitchenette was a nice addition and there was ice supplied in the freezer compartment of the fridge, which was appreciated. The room was not serviced over the weekend, so clean towels were not supplied, although there was free access to the laundry, but who wants to do laundry on a weekend away? I thought that service should have been provided if this is a 4-star establishment. Parking could be an issue. I don't think I would stay at this hotel again. Was welcomed by a very friendly lady who provided a map of noosa for us. The only con was carrying a heavy luggage up the stairs however the room was extremely comfortable and it is near many cafes hence you will not go hungry at night as there are a few restaurants that will open till late. Friendliness of the staff memberes .The room was very clean and items had been placed with care and thoughfullness. Location in Hastings St. Pool area. Room layout and furnishings. Fantastic. Would highly recommend to anyone going to Noosa.